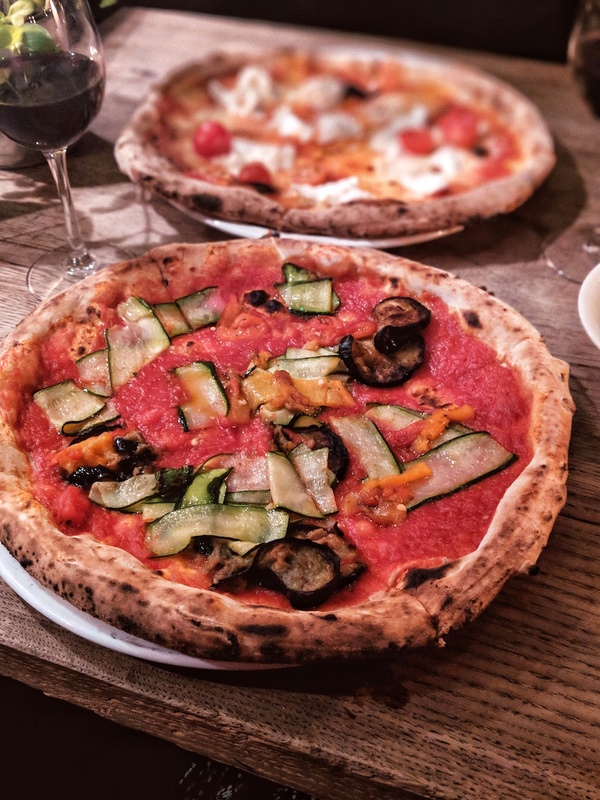 One of Copenhagen's cult foodie hotspots, Mother, has opened its doors in London, bringing its famous seawater sourdough pizzas with it. In July 2017, Mother London opened in Battersea's Circus West Village, which is the brand new, hip food and drink area within the redeveloped Battersea Power Station. 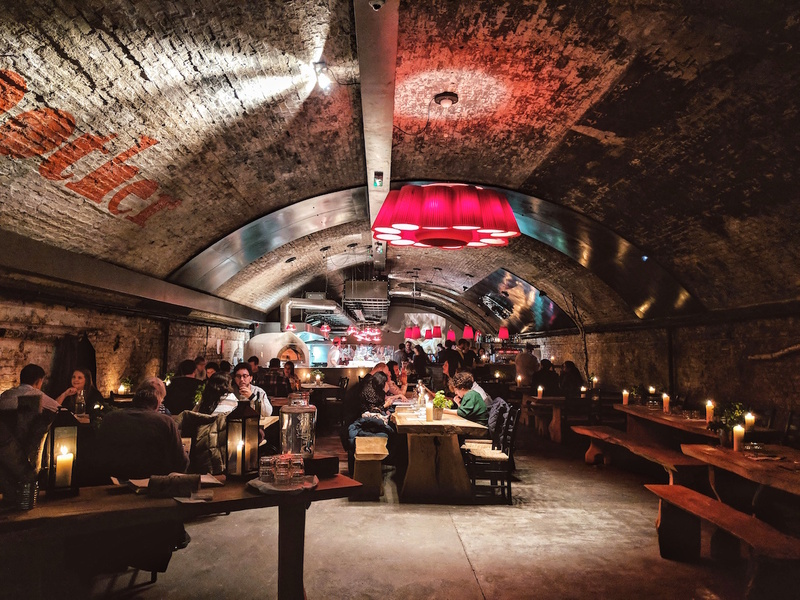 Nestled right beneath the railway arches, the restaurant sits within a cavernous arch with exposed brickwork and long banquet-style tables with accompanying wooden benches. The place oozes that effortless Scandi, casual dining vibe with music blasting a little louder than you'd expect and the door thrown wide open welcoming anyone who passes. 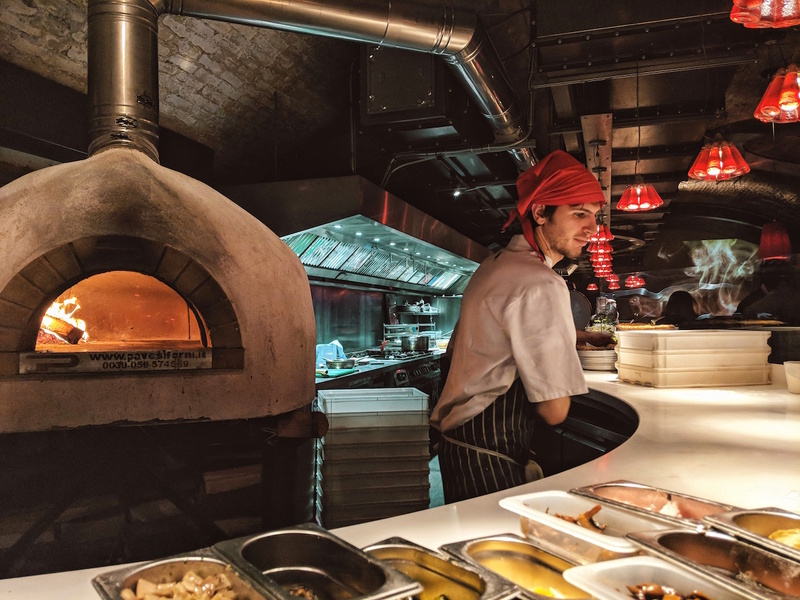 In the heart of the restaurant sits the open kitchen and the roaring pizza oven, which teases us with the smell of a charred pizza crust now and again. 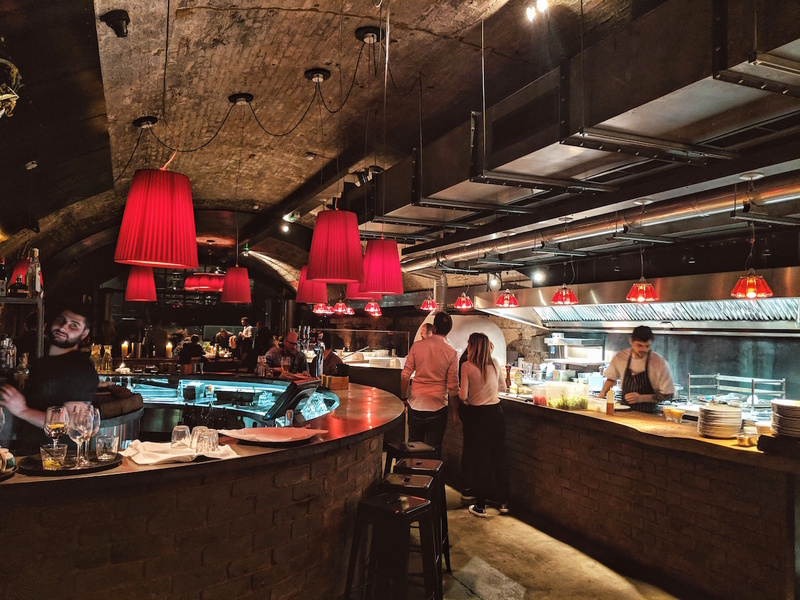 The layout of the restaurant is almost tunnel-like as it's longer than it is wide and the arched, blackened ceilings create a cosy vibe that's complimented by the flickering candlelight. Now, I'm no Scandi expert but Mother London is the epitome of hygge with its homely aura and feel-good, no nonsense food. When I first glanced over the menu online, I noticed there was an apparent lack of vegan options but after raising my concerns I was promised that Mother can easily cater to vegans. Upon being seated, our waiter was incredibly attentive and helpful in helping us pick out dishes that worked for our dietary needs (I'm vegan & James is vegetarian). 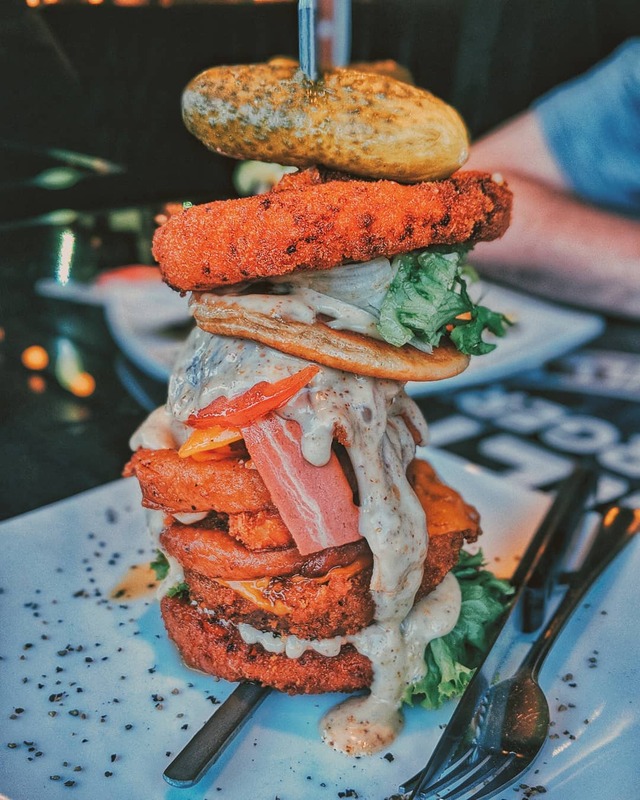 As mentioned, upon first glance it seems that there are no clearly marked vegan options on the menu but the kitchen staff at Mother are more than happy to adapt the dishes to make them dairy-free. 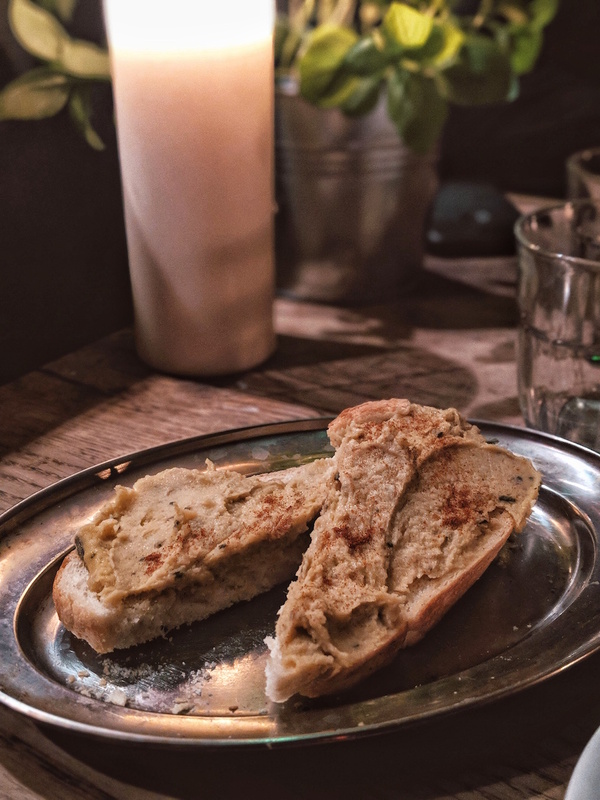 To start, we shared a bruschetta topped with chickpea purée and rosemary - a very simplistic dish wasn't anything fancy but tasted good and hit the spot. We enjoyed our starter with a glass of the house red, which I was told was vegan and organic. Their wine list is small but each wine is hand-selected from Italian wine producers that the team have met with personally. 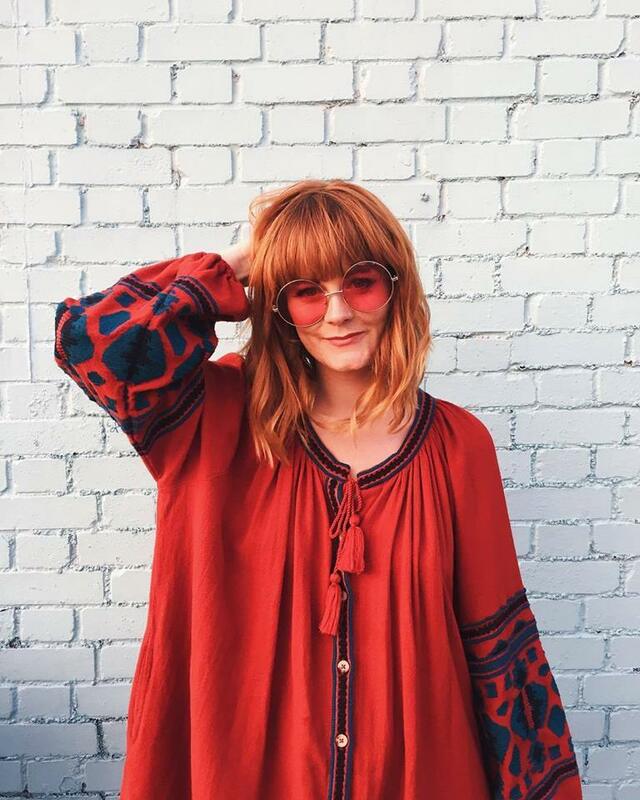 Amazingly, we were told that Mother have a few of vegan-friendly wines behind the bar and the staff are on hand to recommend any to you to accompany your meal. It's often awkward asking if wines are vegan when dining out simply because some restaurants don't even realise that wines can be non-vegan but the team at Mother were incredibly clued up on their wine knowledge. 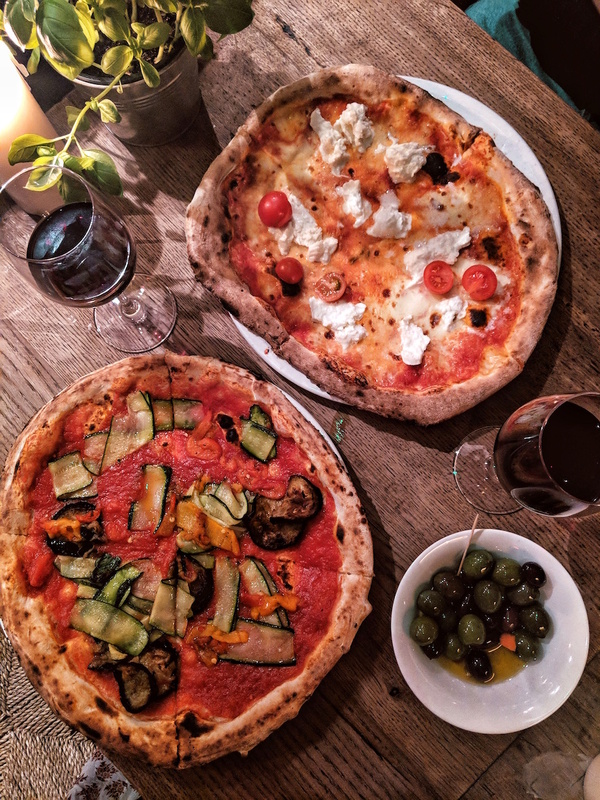 The founders of Mother, Nick & David, have come up with an unusual concept when it comes to pizza creation; they use purified and filtered seawater within the sourdough base! Whilst this may sound like some pretentious gimmick, they are persistent that this is due to the seawater's high mineral content, which makes a healthier and tastier way to make pizza. Judging by the restaurant's success in Copenhagen, I am certainly not one to challenge that claim! All of the pizzas listed on the menu are not vegan as they all list some form of cheese but I was advised that they could remove the cheese from the vegetarian option to make it vegan. Since switching over to a vegan diet, I haven't actually eaten a pizza sans cheese. Although, I've eaten plenty of pizzas over the past few months, they've all had some form of dairy-free cheese on because, well, cheese. Despite being a full-time vegan now, I still do enjoy a cheese replacement or two and I've been known to scoff at cheese-less pizza in the past. 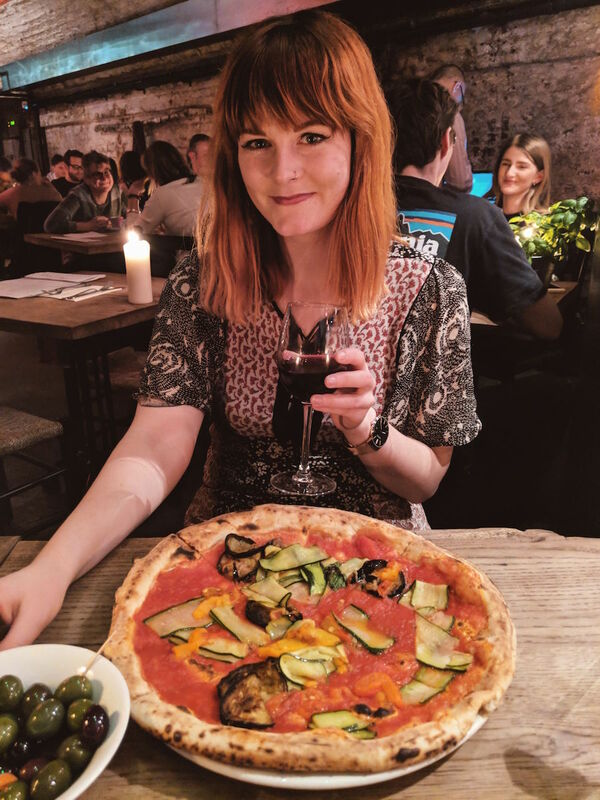 However, the time had come for me to taste a cheese-free pizza and despite my initial reservations, I was honestly taken aback by just how appetising it was. The tomato sauce was so rich with flavour that I didn't need to add any extra oil and didn't miss a cheese substitute on it at all. James had the 'Bufala' vegetarian option, which is topped with mozzarella, tomato, vine tomatoes, buffalo mozzarella and basil. I couldn't taste it myself but considering he finished the entire thing, I'd say it's a pretty good shout for any non-vegan pizza lovers out there! Unfortunately, there were no vegan desserts available but James did taste the tiramisu upon the recommendation of our waiter. After taking the first bite, it looked like he had reached nirvana so I guess I can safely say that it probably tastes pretty darn good! This place looks so cool! 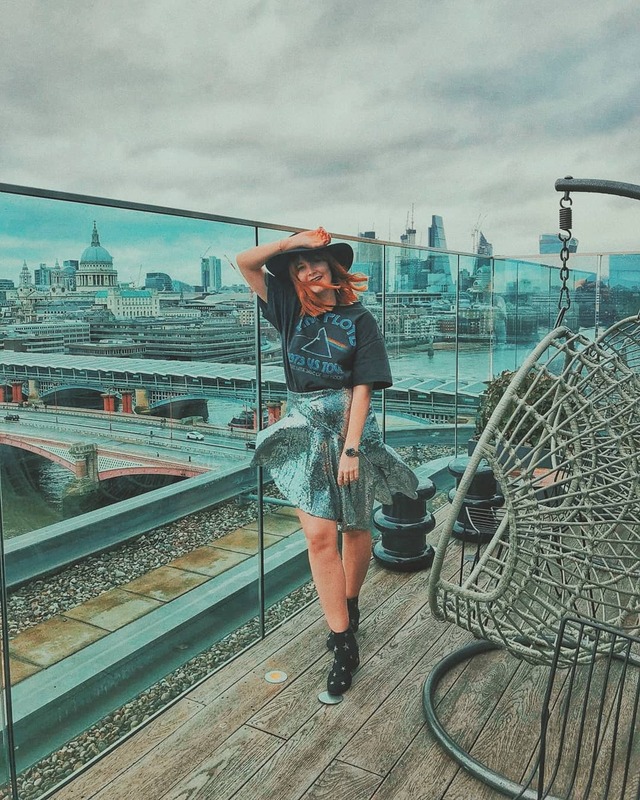 I was actually in another restaurant in Battersea's Circus Village, it's such an fun area and I can't wait to see what other places open up there!